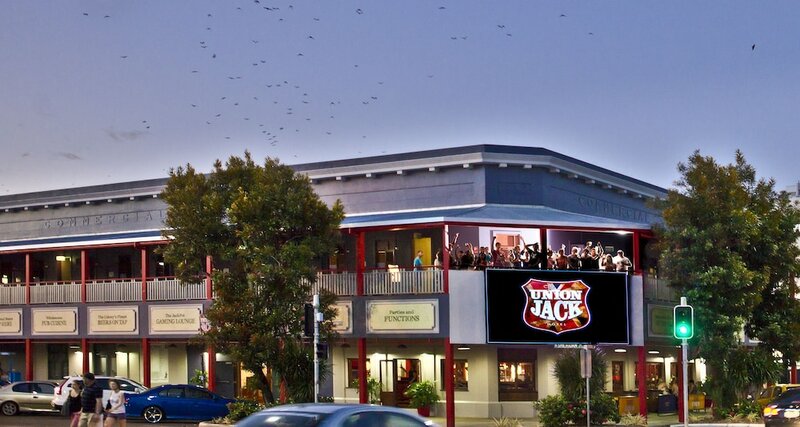 Located in Cairns (Cairns Central Business District), The Jack Backpackers is within a 10-minute walk of Cairns Central Shopping Centre and Cairns Convention Centre. This hostel is 0.7 mi (1.2 km) from Cairns Esplanade and 0.5 mi (0.8 km) from Reef Fleet Terminal. Make yourself at home in one of the 33 air-conditioned rooms featuring refrigerators. Prepare your meals in the shared/communal kitchen. Complimentary wireless Internet access is available to keep you connected. Conveniences include ceiling fans, and housekeeping is provided daily. Take advantage of recreation opportunities such as a nightclub or take in the view from a terrace and a garden. Additional features at this hostel include a television in a common area, tour/ticket assistance, and a picnic area. Enjoy a satisfying meal at The Jack serving guests of The Jack Backpackers. Need to unwind? Take a break with a tasty beverage at one of the 3 bars/lounges. If you are planning to arrive after 8 PM please contact the property in advance using the information on the booking confirmation. This property's reception hours are 9 AM-7 PM on public holidays. This property has a live venue on its site. Guests should expect a high level of noise until 2 AM. For more details, please contact the office using the information on the reservation confirmation received after booking.